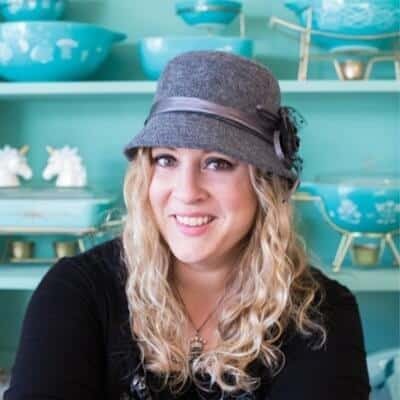 I know I say that a lot of recipes are my favorite on my site and perhaps that’s because I won’t post anything that doesn’t float my boat, ring my tasting bell, send me to cloud nine, you get the point. Or perhaps I am fickle too and whatever happens to be right in front of me at the time for snackage sweetness just automatically becomes my favorite. These, however, were a smash hit. As a family we decided that these are in our top 10 favorite cookies of all time. Now by saying that, these cookies have a lot to live up to. 1. The cookies are not too sweet. 2. Smarties stopped using fake dyes and now uses only natural ones. 3. The oats, oh my goodness people, by using real, large flake oats I achieved oatmeal cookie nirvana. The texture is to die for. 4. They use mainly brown sugar instead of white. Better texture, better taste and again, not as sweet. In a mixing bowl, cream together your butter and sugars. Once those are light and fluffy, beat in the eggs and vanilla, again until it’s light, airy and completely combined. Take the flour and mix the baking soda in, then add to the bowl. Mix on low speed until the dry ingredients are blended in. Add in the oats, mixing until they are through the dough. Take your pretty, natural dye Smarties and mix them in by hand. My daughter was thrilled to no end that she has “Smartie tights” and I must admit they are a perfect match. What could be better when you are 5 years old? Line your cookie sheets with parchment paper and get ready to to plunk them on. Ok, it’s a little more complicated than just plunking them down. Take a golf ball sized scoop and roll into said golf ball. 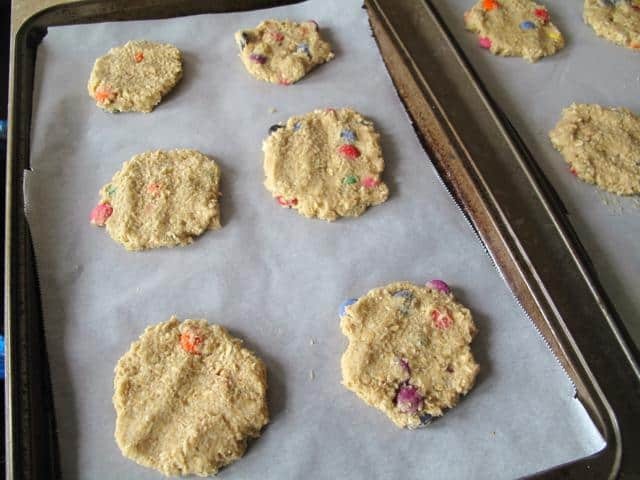 Then flatten them either between your palms or on the cookie sheets. Fit 6 six to a sheet, like below. Or, if you choose to do larger ones, space accordingly. You must flatten them to achieve the flat yet chewy goodness you see in the photos. Bake in the 350 degree oven for 7-8 minutes, watch them carefully, then pull them out when they look browned like below. They might be a little soft in the middle – good! Cool them on the sheets completely. 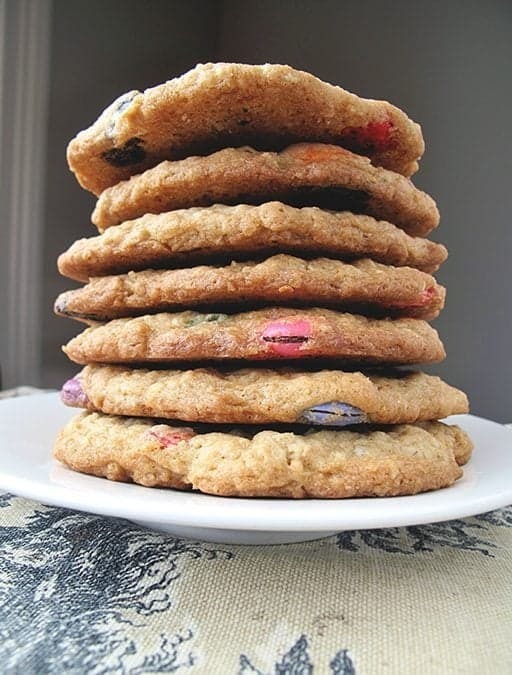 The recipe makes 24 wonderful giant cookies of happy. My favorite cookies of happy. 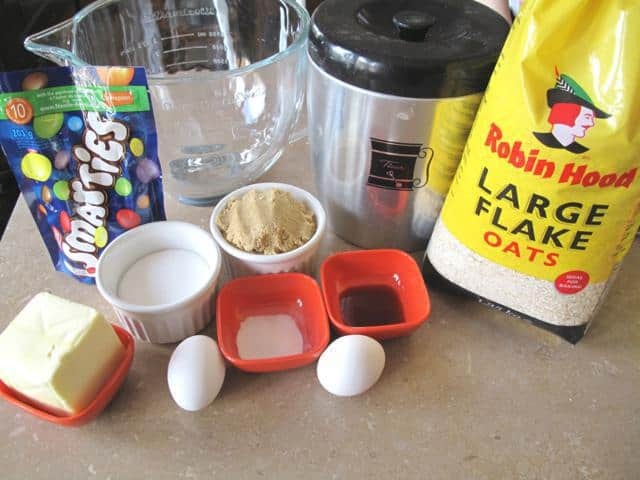 Delicious and easy to make Smartie oatmeal cookies. These are the dream cookies of many a kid, young and old. 1- 1 1/2 cups of Smarties you decide! 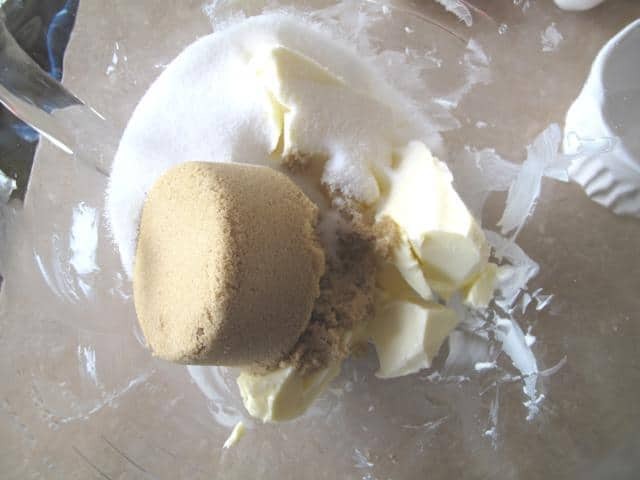 In a mixing bowl, cream together your butter and sugars. 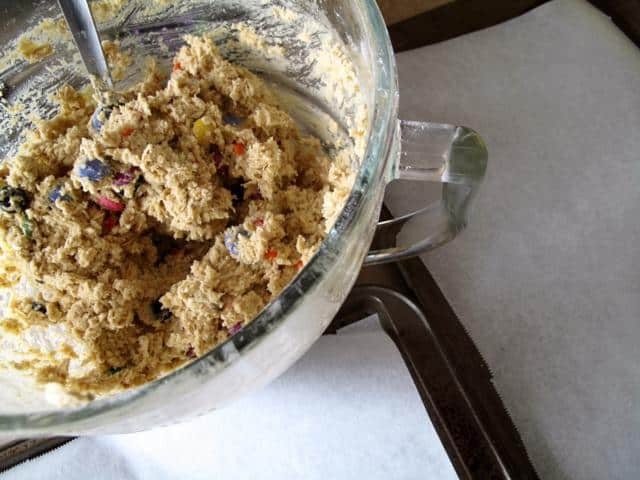 Once those are light and fluffy, beat in the eggs and vanilla, again until it's light, airy and completely combined.Take the flour and mix the baking soda in, then add to the bowl. Mix on low speed until the dry ingredients are blended in. Add in the oats, mixing until they are through the dough. 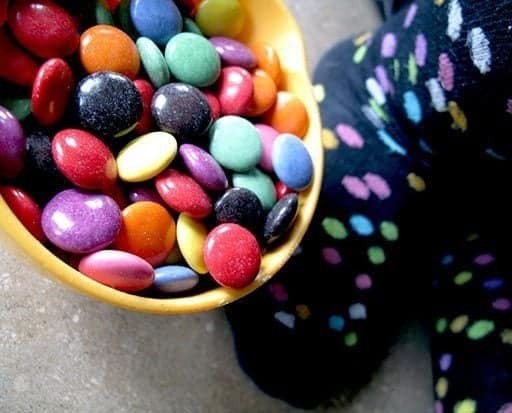 Take your Smarties and mix them in by hand. Take a golf ball sized scoop and roll into said golf ball.Then flatten them either between your palms or on the cookie sheets. Fit 6 six to a sheet. Or, if you choose to do larger ones, space accordingly. 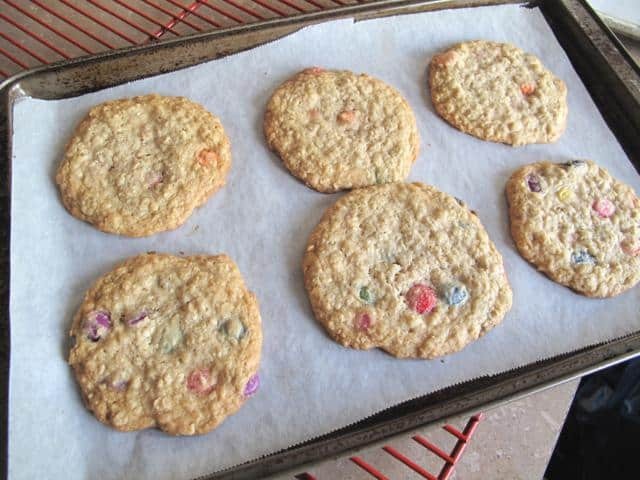 You must flatten them to achieve the flat yet chewy goodness you see in the photos. Bake in the 350 degree oven for 7-8 minutes, watch them carefully, then pull them out when they look lightly browned. I thought these cookies were just so-so. They looked beautiful but the flavor was disappointing despite the fact that I added a pinch of salt, cinnamon, nutmeg, and almond extract for a flavor boost. They definitely have eye appeal, but for me fell way short when it came to taste. These have been a staple in my house for several years now! Just got asked for the recipe again! I cut back to 1 cup of sweets, I’ve used smarties, M&M’s, crushed up leftover easter/halloween chocolates and just yesterday, kit kat bars….. all of which were a huge hit! My only addition is 1/4 tsp salt since we use unsalted butter in the house. Hi, what type of white flour do you use? In the UK we have Plain white four and self raising white flour. TamaraGordon1 Just plain white flour! Thanks for popping in! 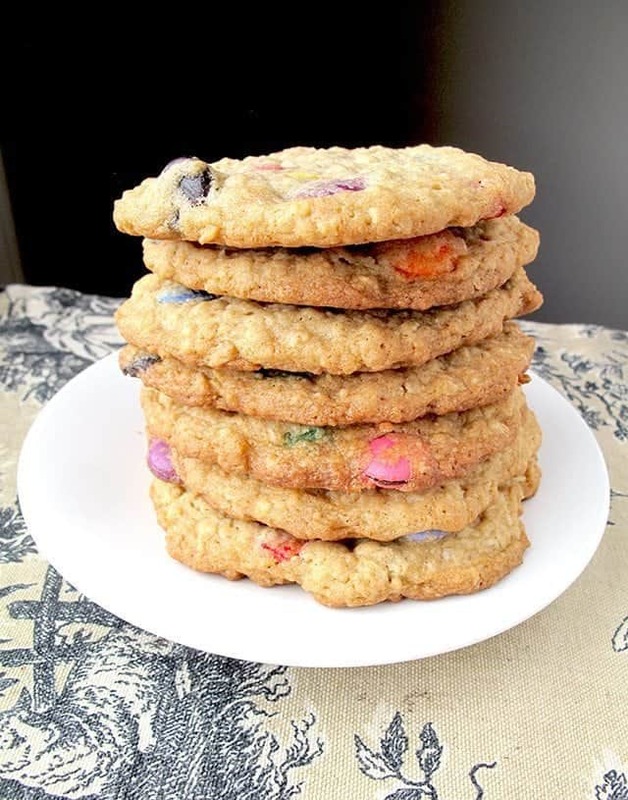 I didn’t have smarties so used dried cranberries instead – best cookies I ever made. Thanks for the recipe. Yes these are great cookies! Good way to get rid of the extra halloween loot subtracting the tiny smartie packs!!! For mess free cookie flattening, take a small square piece of parchment paper place over cookie and press with flat flipper, remove the parchment rewind and repeat! @Whit What a great idea!! Thanks for sharing it, I’m so trying that next time I need to flatten cookies. Thanks for letting me know you liked them! Really great cookies, but be prepared to get your hands dirty!!! Amazing cookies! I’m making my second batch tomorrow. For the Americans among us, Smarties are like M&M’s, maybe a little smaller. It’s like the difference between Coke and Pepsi. They’re available in the UK and Canada, maybe the northern US states. what are smarties? are they like m&ms? they look similar. I can’t find them anywhere. I’m strapped for cash at the moment, and I really want to make these as cookie jar Christmas gifts for my nephews. Is there a way I could make them so you add the dry ingredients to the wet ingredients? I wondered about melting the butter, missing it with the egg then pouring the jar/dry ingredients in? 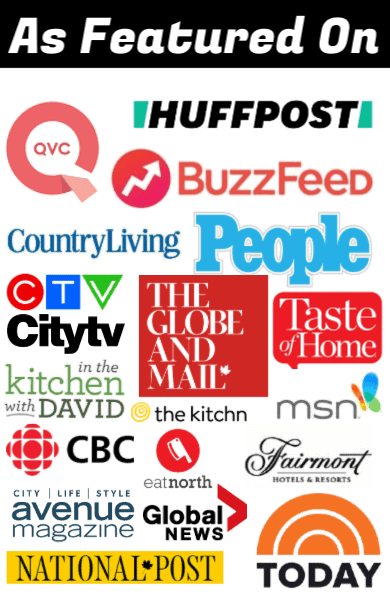 I need to experiment, but I don’t want to waste ingredients, so I thought I’d ask people who know what they’re doing first! Nummy and very big. My cooking time varied greatly. Could be because of different altitude or that my oven really needs to be cleaned. These were amazing!!!!!! Perfect oatmeal cookies. Thanks SO much! I recently made these cookies for a friend who had just lost his wife and has two kids under the age of 5. I was looking for a chewy cookie with smarties (because anything with smarties in it has to brighten your day) but no peanut butter. This recipe scored on all fronts and were a huge hit. These cookies are perfect for giving as a gift. I loved them so much that I am making them for myself today. Thank you for sharing.